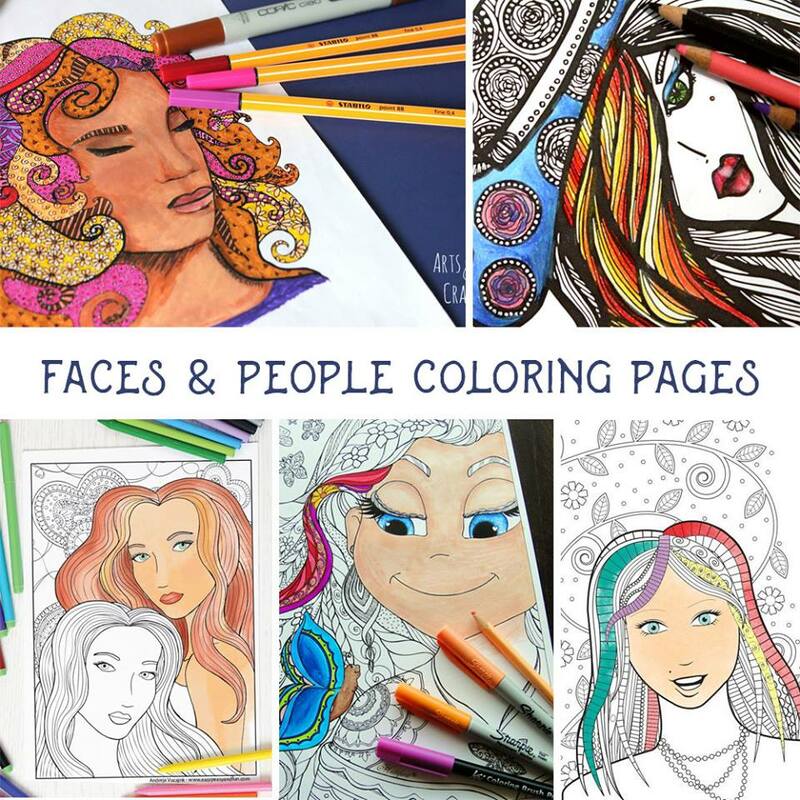 I’m quite proud how this Face Coloring Page for Adults turned out. 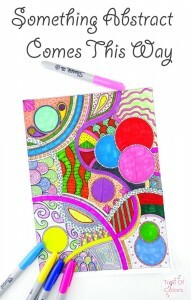 It really is a stress reliever with a lovely and happy face and a lot of empty spaces to put your color in :). Do you like what you see? If you do, than you’ll probably want to check our other work. 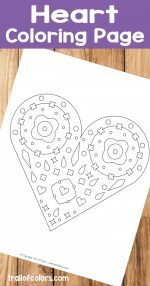 Here are two flower themed coloring pages if you can’t wait for Spring to come, a field of flowers and a bunch of lovely sunflowers to color. 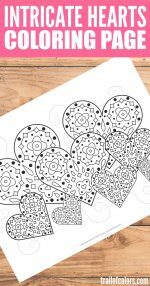 But if you are still stuck in winter you should probably grab this singing birds Winter coloring page for adults. So enough messing around, it’s time to print and color! That’s not all! 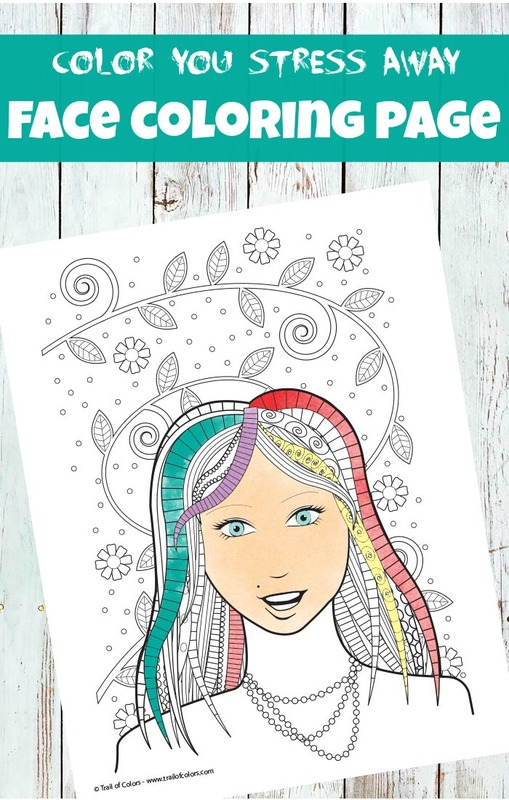 Scroll down the page to find even more amazing free face coloring pages! 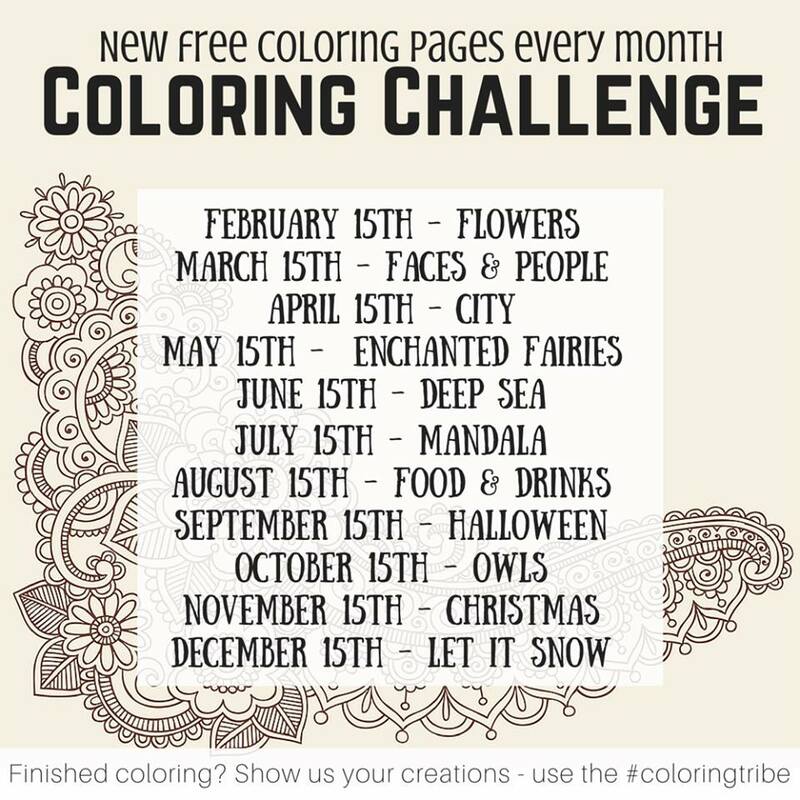 I’ve teamed up with some really talented artists and we will be bringing you fresh new coloring pages each month! 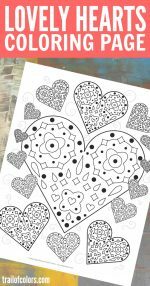 You can check all the themes and when new coloring pages will be released in the picture bellow. 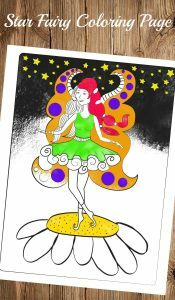 We would also love to see your colored creations so be sure to snap a photo and post it on Instagram, Twitter or Facebook along with #coloringtribe . 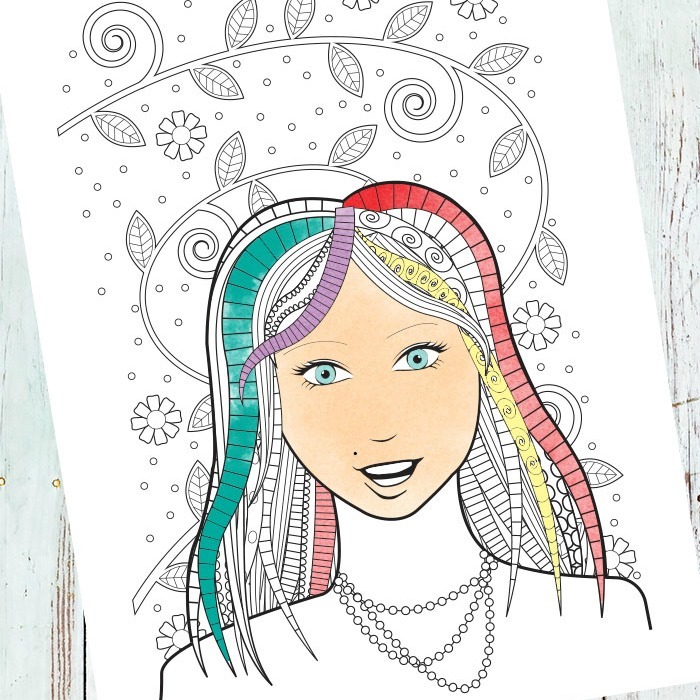 You can also join our coloring group on Facebook where we will be sharing even more awesome coloring pages with you and you can show off your coloring skills and chat about all things coloring.